NG Legend (polled) is the first registered offspring of the SGBI NuGen Project. His offspring were featured in NuGen Foundation Sale and in pedigrees across the world. 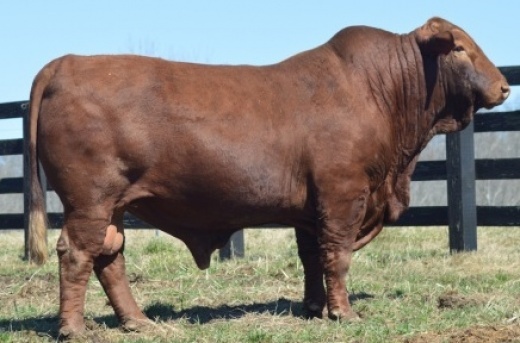 NG Legend is an extremely balanced growth and carcass herd sire who can infuse new genetics into any Santa Gertrudis program. NG Legend’s EPDs are in the top 10% of the Santa Gertrudis breed for weaning weight, yearling weight, hot carcass weight and tenderness. He is in the top 3% of breed for ribeye area. Learn more about the NuGen Project.